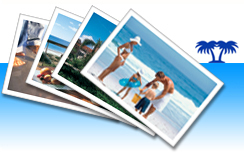 As an advertiser/owner or visitor to ivacationonline.com, you will receive either or both of our Member/Owner or Traveler newsletters. You may cancel your subscription to these newsletters at any time. Just click the "unsubscribe" link in any email you receive from us. Personally-Identifiable Information will only be collected to the extent that ivacationonline.com LLC deems reasonably necessary to serve a legitimate business purpose. Please be aware that if you disclose Personally-Identifiable Information on Website, that information may be collected and used by third parties without our knowledge and may result in unsolicited communications from third parties. Such activities are beyond the control of ivacationonline.com LLC. Review and correction. Procedures have been developed through which customers and prospects can, upon request, review and correct the Personally-Identifiable Information that has been collected from them by ivacationonline.com LLC. These procedures may not, however, compromise the security, integrity and privacy of either ivacationonline.com LLC own proprietary databases or databases licensed from third party companies. We provide the information to trusted partners who work on behalf of or with ivacationonline.com LLC under confidentiality agreements. These companies may use your personal information to help ivacationonline.com LLC communicate with you about offers from ivacationonline.com LLC and our marketing partners. However, these companies do not have any independent right to share this information. Ivactiononline.com email and spam policy. Ivacaitononline.com does not sell or share the emails of any person with anyone.